1882, New Mexico Territory. 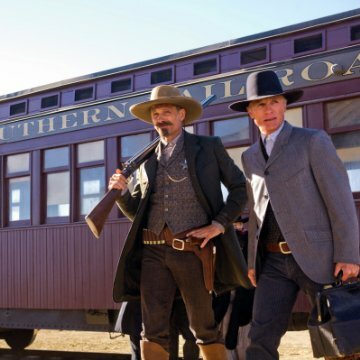 Virgil Cole and Everett Hitch are itinerant lawmen, hired by desperate towns as marshal and deputy. 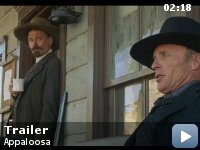 The city fathers of Appaloosa hire them after Randall Bragg, a newly-arrived rancher with money and a gang of thugs, disrupts commerce and kills three local lawmen. Cole and Hitch contrive to arrest Bragg and bring him to trial, but hanging him proves difficult. Meanwhile, a widow has arrived in town, Allison French, pretty, refined, and good-natured. Virgil falls hard, and it seems mutual, but there may be more to Allie than meets the eye. 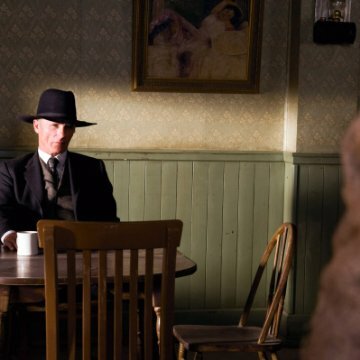 Can friendship and skill with a gun overcome a pernicious villain and green-eyed jealousy? Taglines: Feelings get you killed. A sequel was in talks before the film was even released. 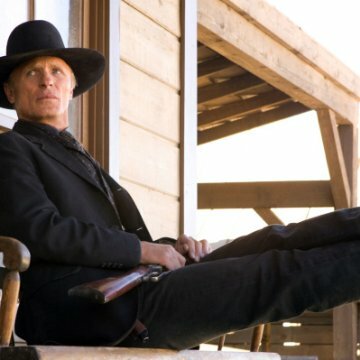 Continuity: In the book and the movie Everett carries both an 8 gauge shotgun and a Winchester lever action rifle whenever he is on horseback. Phil Olson: We can't have our law officers beatin' people half to death for no reason. 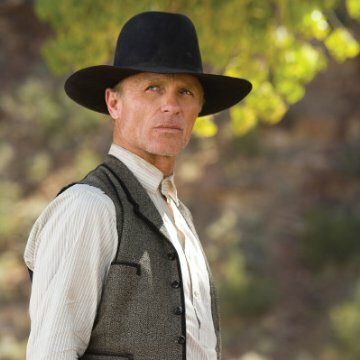 One reviewer remarked how "Ed Harris understands (the) Western (genre)" I couldn't agree more. This film is a delight. The writing is solid, the dialog sparked with humor, the heroes are more than caricatures and cardboard cut-outs, the villains are worthy anti-heroes and the back-up is wonderful. 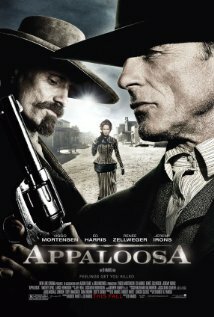 The performances of Ed Harris, Viggo Mortensen and Jeremy Irons as the main protag-/antagonists are sterling. Harris is the lonely paladin, uncompromising in his ethic, drawn in by the warmth and softness of a needful woman, artfully and convincingly played by Renee Zellweger; Mortensen is the slightly jaded sidekick who both respects and doesn't completely understand his hero. A parallel villain is offered by Lance Henrikson, a kind of poor man's Clint Eastwood, giving an interesting twist to the story. Some comic relief is offered by veteran character actor, James Gammon and fine British actor Timothy Spall without reducing the tension in the story line or reverting to a burlesque. The mythic theme of the knight-errant works well in this presentation brought to light by the competent direction of Ed Harris. My only fear is that it being devoid of ballet-type ritual killings, CGI and only a mild spattering of violence, it will likely fly under the radar of much of today's theater goers, which is a shame. It's a fine film.